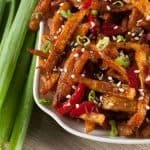 Crispy Fried Potatoes cooked with spring onion and bell peppers in a sweet and spicy sauce. 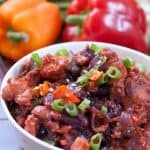 Honey Chilli Potato is a popular Indo-Chinese appetizer. Sweet and spicy flavor combination makes it awfully delicious. Chicken strips marinated, fried and sauteed in a spicy and tangy sauce. 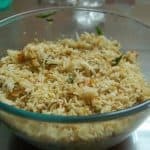 Serve this dish as an appetizer or as a side dish with chicken fried rice or vegetable fried rice or Singaporean fried rice or any other Asian rice preparation. Chicken and vegetables cooked in a sauce combo and then mixed with rice. 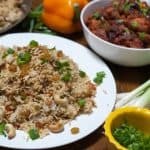 An easy Indo Chinese style fried rice recipe to make at home. Chicken cubes marinated, fried and sauteed in spicy and tangy sauce. Best served with Vegetable/Chicken Fried rice. South Indian Dosa stuffed with chinese filling and cheese! 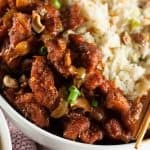 A must try Indo – Chinese fusion. 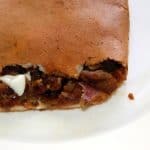 Quick, easy and delicious!! It is an Indo Chinese rice based dish with good flavor of veggies and sauces. I usually serve it with any indo chinese gravies like gobi / chicken / mushroom manchurian. 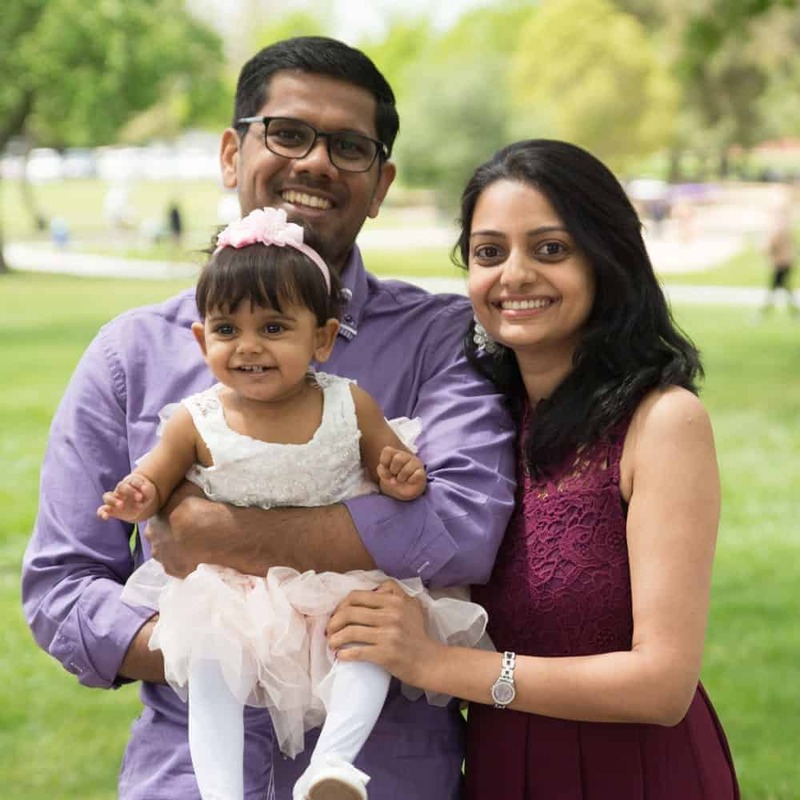 Hiii, We are Jane and Cherian, a couple working in the software industry. This blog’s primarily our experiments in South Indian – American cooking. Made with ♥︎ in California.